1. Crude oil will flow through the Dakota Access Pipeline (DAPL) in 2017. Donald Trump’s surprise win in the 2016 presidential election will result in big changes in U.S. energy policy. One immediate impact will be in the support at the federal level for oil and gas pipelines. The Obama Administration implicitly encouraged opposition to high profile projects like the Keystone XL Pipeline, and more recently the Dakota Access Pipeline (DAPL). Decisions on these projects came down on the side of pipeline protesters. With Trump in office, DAPL will be completed and oil will flow. The only real uncertainty in my mind over this prediction is that Trump comes into office pretty disorganized, and President Obama has put a lot of obstacles in front of him. He will have a lot of competing priorities, and there will be legal challenges. Those will take some time to sort out. Nevertheless, I expect the pipeline to be completed and the oil to flow this year, much to the chagrin of pipeline protesters. I feel compelled to make an oil price prediction, but this year is much more difficult than a year ago, when I was confident that there would be a strong move upward from $30/bbl. This year I think oil prices will continue to move up, but a lot of optimistic expectations are already factored into the price. According to data from the Energy Information Administration (EIA), the average closing price for West Texas Intermediate Crude (WTI) in 2016 was $43.31. During the year, the price closed as low as $26.19 and as high as $54.01. The EIA’s most recent Short Term Energy Outlook projects Brent Crude prices to average $51.66 and WTI Crude prices to average $50.66 this year, but some are predicting a return to $40 or lower in 2017. As a result, I think this will be a less volatile year for oil, with dampers on the high as well as low side. We should reach $60, and I think OPEC is targeting at least that level. 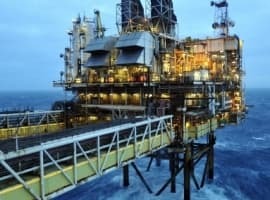 But it is hard to convincingly argue that the annual average will go that high (admittedly even $58.31 is a stretch for a yearly average) considering the current price, the fact that global crude inventories are still extremely high, and the expected increase in U.S. shale oil production. This is a prediction that hinges on many factors, which makes it all the more difficult. If by the second quarter it is clear that global crude inventories are coming down rapidly, then I think we will see a $60 average for WTI for the year. However, if we see the OPEC agreement start to fall apart, we will likely retreat back to the $40s temporarily. So while some may not consider this an extremely aggressive prediction, it is a difficult forecast that could look silly in hindsight depending on how events play out. In 2016 the average spot price of Henry Hub natural gas was $2.52 per million British thermal units (MMBtu). But by year-end the price was surging in response to depleting inventories. At present the forward price curve for natural gas in 2017 ranges from about $3.13 per MMBtu up to about $3.37, before falling back below $3 in early 2018. This seems too low given the strong demand growth coming online from new petrochemical projects, the utility sector, liquefied natural gas exports and growing pipeline exports to Mexico. Demand has been growing for years, but production growth has kept pace, keeping prices depressed. Natural gas production stalled in 2016 in response to low prices, and although I think it will bounce back this year I think demand will get the upper hand. 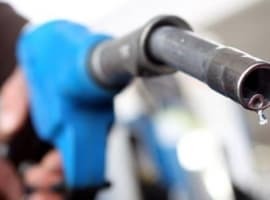 The weather always has a strong influence on gas prices, but unless there is an extended bout of mild weather it will be hard to keep natural gas prices near current levels. I believe natural gas has more upside than oil in 2017, and that the average closing Henry Hub spot price will be above $3.50 for the year. From 2011 through 2015, U.S. crude oil production increased by 4.85 million bpd — an average increase each year of ~1.2 million bpd. OPEC’s 2014 decision to defend market share had a chilling impact on oil prices, with U.S. oil production entering a year-over-year decline in April 2015 that continued in 2016. I believe these projections are quite optimistic for 2017. Shale production declined by ~600,000 bpd from 2015 to 2016, and while production was turning back up at the end of the year, I don’t believe it will ramp up rapidly, for several reasons. 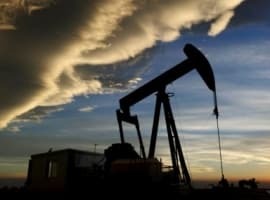 Shale oil production will likely increase, but it can’t turn on a dime. My prediction assumes that in 2017 U.S. crude oil production will grow by less than 300,000 bpd (a quarter of the announced OPEC cut) above the average daily crude oil production level in 2016 of some 8.8 million bpd. Last year I predicted that the Energy Select Sector SPDR ETF would rise at least 15 percent in 2016 as the energy sector began to recover. The XLE rose 27 percent on the year amid a broad energy sector recovery. I expect to see further gains this year in the XLE, but one group that lagged last year’s energy surge was the MLPs — the master limited partnerships that still predominate among the midstream operators. The Alerian MLP Index (AMZ) was up 9 percent for the year, while yielding about 7 percent. That wasn’t terrible, but it was well behind the rising energy tide. I expect President Trump to be extremely good for MLPs and the entire midstream space. Over the past eight years the Obama Administration has created a tough climate for energy pipelines. The resulting negative sentiment is one of the factors weighing down midstream equities. I think we will see a great deal of top-down political support for the midstream sector over the next four years, and as a result I firmly believe MLPs will do very well in 2017. I expect the total return of the Alerian MLP Index — which consists of the price return of the AMZ and the distributions by its components — to reach at least 20 percent in 2017. There you have my 2017 energy predictions. I believe the themes this year will be upward pressure on oil prices, U.S. shale oil producers picking up production a bit in response to the uptick in prices, increasing momentum for natural gas demand and a much friendlier federal approach to fossil fuel development. I will provide regular updates to these predictions as appropriate, but these are the final predictions I will grade myself on at the end of the year. Good argument. Completely correct, I believe. Three other aspects to the climb in WTI prices. The U.S. is exporting more and more oil, which will drive down our domestic glut. OPEC is making more money by cutting production not increasing. Enormous political unrest in OPEC countries due to a foolish, if not completely stupid, venture into economic control of a commodity through oversupply (OPEC can push oil down much more than they can lift it up - the world adapts through technological efficiencies). So OPEC must figure out the perfect balance of output vs. price, to gain the most income, not market share - that is the new strategy. Look for OPEC to cut production again in its next meeting. $40 oil is gone after the next cut, and $60 oil is here again. Finally, ain't no recession in China or India gonna stop the two largest populated countries in the world from buying new gas powered vehicles. The world needs 5000 new barrels of oil each and every day to maintain - and has since Henry Ford. Simple math, boys, simple math. Well written article by Robert Rapier. The Dakota Access issue will unfold in front of our TV's and I believe oil will be flowing by spring. Support for the Keystone XL pipeline will be reinforced by the Trump administration but we'll be lucky if actual construction starts this year do to a renegotiation on benefits for America.